Zechariah was the son of Berechiah and the grandson of Iddo, both of whom were priests in Israel. Iddo was one of the priests who returned with Zerubbabel from the captivity in Babylon when they were charged by Cyrus, king of Persia, to rebuild the Temple in Jerusalem. 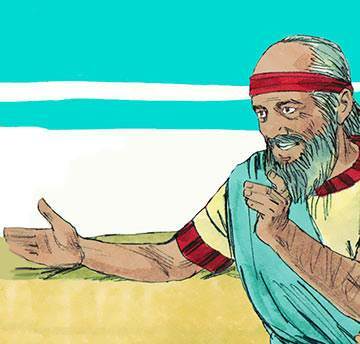 One has only to read a little of Zechariah’s prophecy to realise that he had a completely different background to Amos, and thus one can detect in his writings a different style and approach. Zechariah’s earlier prophecies and visions relate to the need for a proper approach to worship in the rebuilt Temple, the first step being that of true repentance and confession. Zechariah warns of the results that will follow if the people, like their forefathers, do not heed God’s commandments. How essential it is to be continually open to the warnings and entreaties of God! The key to a good relationship with the Lord is summed up in Zech. 1:3—write out the words so that they are locked into your soul. In this long section of reading, there are eight visions, all revealing God’s concern for the Jewish people—those whom He has chosen to worship Him. Firstly he hears of God’s compassion for Jerusalem (1:7-17). Then he sees four craftsmen coming to break the power of the hostile nations (1:18-21). 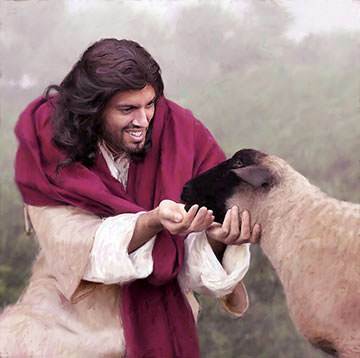 Next he sees a new Jerusalem that becomes a home for both Jew and Gentile (chapter 2). 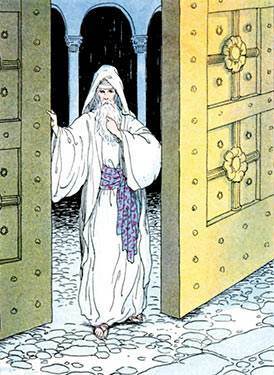 Then he is given a vision of Joshua, the high priest, clothed in clean garments (chapter 3). 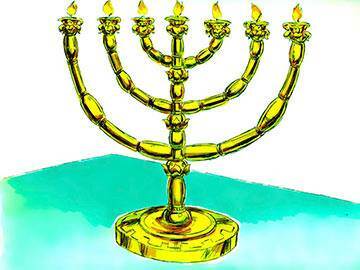 He sees next a seven-branched candlestick of solid gold being replenished by two olive trees (chapter 4). Then he sees a very large scroll flying through the air bearing God’s curse on sin (5:1-4), and a woman sitting in a basket who personifies wickedness (5:5-11). 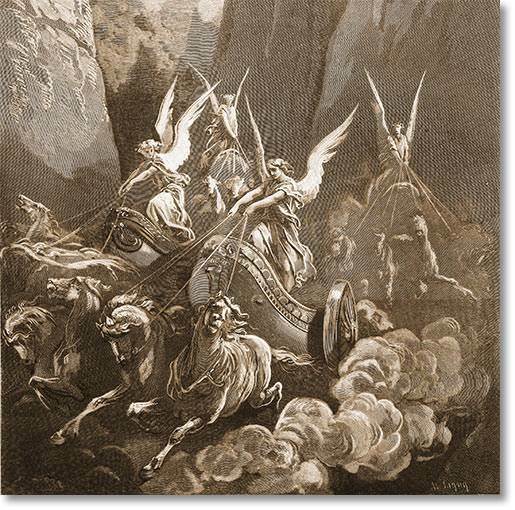 Finally he sees four chariots driven by angelic beings, symbolising God’s active control of the world (6:1-8). In all of Zechariah’s night visions, there is one unifying thought which expresses a central message and consists of three phrases: “I am very jealous for Jerusalem… I am very angry with the nations… I will return to Jerusalem with mercy.” Can you spot them? If not, follow the link to this passage. 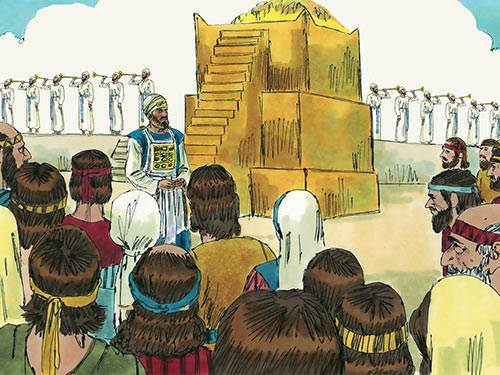 Since Zechariah came from a family of priests, he would doubtless have taken part in the fasting and mourning which took place annually in the fifth month during the 70 years of captivity, and which commemorated the destruction of the Temple. A deputation comes to enquire whether this fast should continue now that the Temple is nearing completion, and they are challenged by the prophet to examine the motives which have prompted them to keep this fast over so many years. His implication is that their participation lacks spiritual reality (vs. 5). The prophet follows his challenge, however, with a word that one day in the future God will turn the situation to such good account that their fast days will become feast days (8:19). What if a well-respected preacher stepped into your church pulpit this coming Sunday, and challenged you and the rest of the congregation by saying that your worship consisted of nothing more than form or ceremony? Would it offend you? But what is more—would it be true? Zechariah was a prophet who not only gave warnings of God’s judgments and challenged the people to live at a higher spiritual level—he also gave a number of prophecies of hope and consolation for the future of Israel (chap. 8). The judgment of Israel’s enemies is predicted, and the coming of the Prince of Peace, first in humility (9:9), and then in triumph to rule over all nations (9:10). 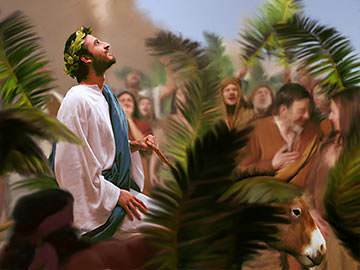 There can be little doubt that Christ’s entry into Jerusalem on Palm Sunday was a partial fulfilment of this prophecy, and all Bible students draw hope and inspiration from the fact that the day will come when He will come again in power and glory to complete Zechariah’s great prophetic word. In that day, we are told, His people will shine like jewels in His crown (9:16). How delightful it is to be reminded that although sin has played havoc with God’s creation—and to a certain extent still does—the day will come when sin will be banished for ever. What is your response to this great and wonderful truth? May it be the last four words of Revelation 22:20. Zechariah contrasts the good things God gives to His people with the false consolation received by the followers of other gods. A true prophetic ministry not only conveys the message of God, but also the feelings of God, and here Zechariah imparts to the people something of the Lord’s anger against the leaders and priests of Israel, who are careless and insensitive to the wellbeing of the people (10:3). The only hope, it seems, is to look beyond human frailty and draw inspiration and courage from the fact that one day a Leader will come—the Messiah by name—who will gather His people from all over the world to form one nation under His guidance and rule. Many believe that this prophecy has a direct reference to the return of the Jews to Israel in our own generation. One great preacher said: “I have been kept from sin, not so much by the fact that my transgressions break God’s law, but that they break God’s heart.” Can you see what he meant? Sin is something that hurts God. Never forget—God has feelings too! The prophetic vision that follows covers the activities that surround the second coming of Christ, and the establishing of His Kingdom on the earth. If there is one verse in Zechariah that is worth underlining, it is 14:4. This verse tells us that when Christ returns, His feet will touch down on the Mount of Olives, the same place from which He ascended into glory. How close are we to that great event, we wonder? As we are about to pass from studying Old Testament characters and move into the New, it seems appropriate to pause and consider what it was that inspired these great heroes of the past in their witness and testimony for God. 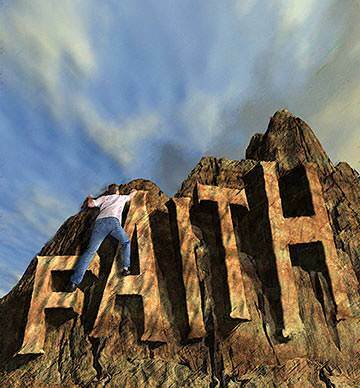 The writer to the Hebrews gives us the answer in a single word: faith. Although some of the personalities we have looked at in the Old Testament section of our studies are not mentioned in Hebrews 11—the ‘Westminster Abbey’ or ‘Hall of Fame’ of the Bible—there can be little doubt that each one of them lived and worked by faith. They accomplished great exploits for God because they lived in the sure and certain hope that what they were doing had an eternal meaning and purpose. Faith believes that God has revealed something about the future—not everything, but something. And what He has revealed is quite enough for us to know. If you can live like that, then your name, too, will be found among the great parade of history’s heroes and heroines of faith. 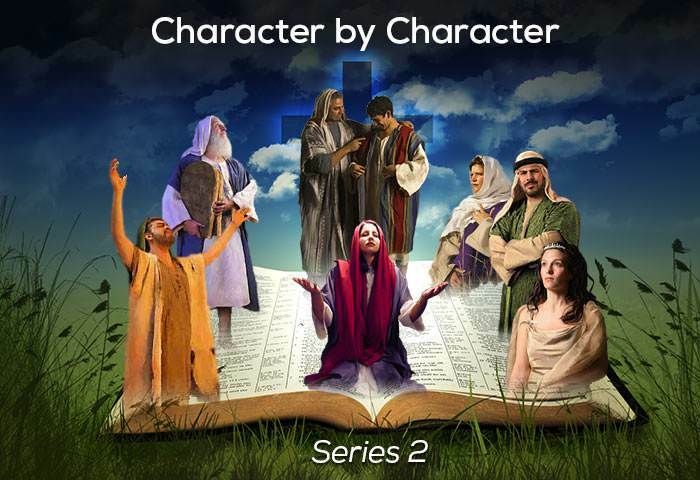 Zechariah is regarded by many Bible commentators as one of the most endearing of all the prophets, for despite his strong denunciation of sin and hypocrisy he manifests a tender and sympathetic heart. It is not easy to draw the line sharply and clearly between the two camps of light and darkness, and at the same time to seek out and applaud the latent good—yet nevertheless, Zechariah seems to accomplish this. This great-hearted prophet has a clear sense of the redeeming process in history, and holds tenaciously to the truth that no matter what the present may be, God will ultimately work out all things for good. The lesson we learn, therefore, from Zechariah is that no matter what are the causes for our present despondency, they are far outweighed by the future prospects. The apostle Paul puts it like this: “For this light momentary affliction is preparing for us an eternal weight of glory beyond all comparison” (2 Cor. 4:17, RSV).